What is SIP Trunking and How Can it Help Your Business? Voice-over-IP (VoIP) is the dominant form of communication for large organizations large and small. Why not? In our global world, it reduces the cost of international calls by up to 90%. You may wonder what that means for you as a small business. To put it in real terms, a company that switches 30 phones over to VoIP saves an average of $1,200 every month. 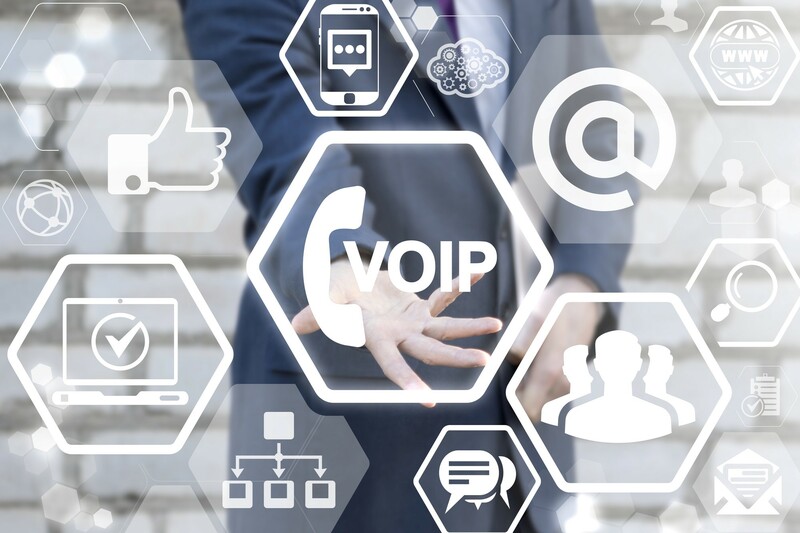 VoIP is at its best when SIP trunking supports it. What is SIP trunking? It takes VoIP to the next level by combining not only voice but video and messaging data into the same communications package. SIP stands for Session Initiation Protocol. Simply put, a SIP trunk is a direct connection between your Internet telephony service provider (ITSP) and your office or organization. It simplifies the extension of your voice over IP (VoIP) without the installation of an IP-PTSN gateway. Without the gateway, VoIP extension is not only more natural and cheaper but also offers a potential return on your investment. So how does SIP trunking work? Let’s dive in. SIP is aided by Real-Time Protocol (RTP). RTP manages all things voice inside of a VoIP call. A circuit-switched network is a form of communication where a dedicated channel is used for transmission; it may sound new, but these networks have existed since 1878. It’s a complicated way of talking about systems like the telephone system. Telephone systems operate through the linking of wire segments into a single unbroken line that allows a telephone call to take place. A trunk refers to the physical lines. A SIP trunk is a virtual connection – there are no physical wires to connect or cross. SIP trunking allows you to cut the cord with your phone service provider. You don’t need any wires or hardware to use the phone. Instead, it’s built into your network. A SIP trunk is tied to an organization’s pre-existing internet connection through a service provider like Gamma Telecom. With this protocol, you’ll create a single point of entry into your communications system. But isn’t SIP the same thing as a VoIP? They’re related, but there are some fundamental differences. VoIP technology is the base tech that allows you to make voice calls on the internet rather than a wired phone line. It breaks down the audio into tiny pieces, converting them into code, and transmitting them across the wireless connection to the receiver. VoIP requires broadband, a phone (VoIP or traditional with adaptor), and the relevant software. SIP fits into VoIP because it’s a “signaling” protocol within the communication; it’s a type of VoIP protocol. Whereas VoIP transmits audio, SIP goes further by adding video and messaging. If this isn’t your first deep dive in to SIP trunking, then you’re likely weighing other options or alternative strategies to SIP. What’s the difference, and why should you go with SIP? Primary Rate Interface (PRI) is another way of connecting voice networks through the internet. It was a precursor of sorts to SIP trunking, and it’s still widely used. Both PRI and SIP are a voice technology. But PRI is an interface used on the Integrated Services Digital Network (ISDN) – and it requires a single physical line. A physical line means you also need to be set up with a telecoms company to install, upgrade, and maintain the line. Basically, SIP is virtual-only, and PRI requires (minimal) hardware and a phone line connection. Both setups have advantages and disadvantages. We choose SIP because it offers something PRI can’t: flexibility. To grow your connection, you’ll add more virtual trunks. Because you don’t need to install new hardware or shift any wires, your servicer will do it seamlessly. Communications is mission critical, but so is cost savings. SIP offers both instead of burdening you with a connection that’s more expensive than its value to your organization. Of course, there are advantages of PRI that some businesses will see as indispensable. PRI is secure because it uses a private telephone network and isn’t exposed to the internet, which we all know can be a dark and dangerous place. However, even the security issue is easy to mitigate with a SIP. Any VoIP provider worth its fee will tell you that any SIP should be reinforced with a hardened firewall. There is one attribute PRI has over SIP that is worth considering if your business is communications dependent every single minute of the day: a loss of internet means your phones are down, too. If a single hour of downtime drains $100,00 from your pockets, imagine that downtime plus the loss of your phone service. But if you’re that dependent on the internet, you should already have a connection failsafe in place. WiMAX or LTE failovers will support your SIP line, too. Plus, you can set up your SIP to automatically reroute your calls to a specified location in the event you go offline. It’s possible to create hybrid trunking systems with SIP for long-distance and video calls and PRI for local voice. Some see it as a cost-saving measure while still benefiting from the added security provided by PRI. You might save some money if you do a significant amount of international calling, but you still need to spend the money investing in the hardware required for a PRI and factor in the costs associated with difficulties in scaling. SIP trunking offers organizations benefits that other protocols just can’t. Whether your use PRI or a traditional phones, you’re paying a phone bill that eats up a portion of your budget and requires hardware that’s subject to malfunction and requires upgrades. SIP trunking lets you cut the cord – so you can stick to the internet and use the extra cash on growing your business. Whether you’re in need of an upgrade or you’re just starting out, you’ll find SIP is far more cost-effective than any service requiring hardware. It’s easier to maintain over time. Plus, VoIP and SIP don’t care if you’re calling Dublin, Ohio or Dublin, Ireland. Long distance and international charges become a thing of the past. You’re opening a second office – but you want customers to reach you at the same number. SIP makes portability problems a thing of the past. Because voice and data exist on a single network, you can open new offices, move office, or allow employees to work remotely without the complications of call-forwarding. Call forwarding to mobile phones is the current standard for out-of-office calls. But what about remote workers who only come in for quarterly meetings? Allow them to use an office number with VoIP smartphone apps. Stop spending hours on the phone with the phone company, and let your IT team take care of your network. VoIP and SIP connection are both managed through administrative portals on site, so you can make changes without dialing out. Whether you need to route calls, change an extension, or add a new line, you’ll find all essential services available on-demand. There’s no alternative for a phone system when a telephone pole goes down. Your only option is to play the waiting game. With internet-based phone service, you can create multiple failover plans in the event of a network outage – and SIP is supported by all of them. More importantly, there’s no waiting for a contractor to take care of it; your in-house IT team will get your network up and running in the meantime. With voice and data on the same line, you’re only using one service for all your communication needs. Consolidating your communication networks will increase your bandwidth and save you money. SIP Is the Way Forward – Are You Ready? The business world is changing faster than many of us can keep up with. But some of these changes can be mitigated by updating systems that embrace what new technology has given us. SIP is one of those systems – and if you have a traditional phone service, there’s no better time to switch over to SIP trunking. What is SIP trunking, and what does it do for you? SIP trunking saves businesses money on hardware, maintenance, and subscription fees by combining voice, video, and messaging data into one virtual connection. It allows you to use your office phone anywhere and anytime, keeping your closer than ever to both customers and employees. Are you considering SIP? Share your questions in the comments below.